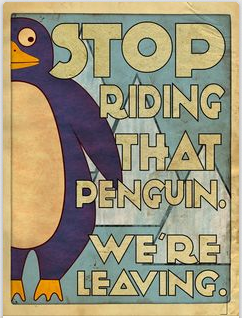 The words “Stop riding that penguin, we have to leave” actually came out of my mouth as I tried to hustle our 4 year old out the door the other day. 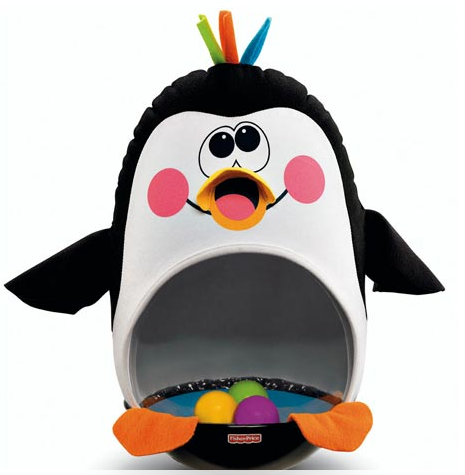 He was bobbing around on one of these, much to Obi’s dismay. But that’s not the funny part. As soon as the words were spoken, I giggled, remembering this poster that I pinned on Pinterest a few years ago. At the time I thought it was hilarious. Now that it actually applies, I think I might just have to order one. This guy – who has a whole “Things I’ve Said to my Children” series – is a pretty funny chap. If you’re a parent in need of a giggle, head over and scroll through his wares. I love that guy’s stuff! I’ve often thought of making my own, but lately a lot of what I say to my kids involves explaining why the word poop is not appropriate in such and such a setting. It’s like it was made for you! Meant to be – you totally have to buy that because it will give you a smile for years to come.